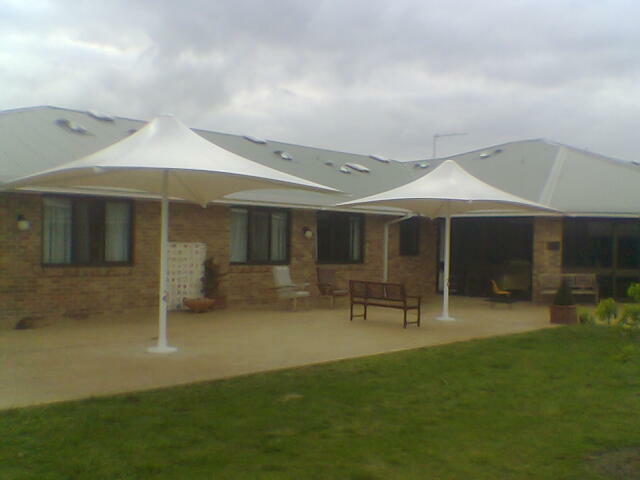 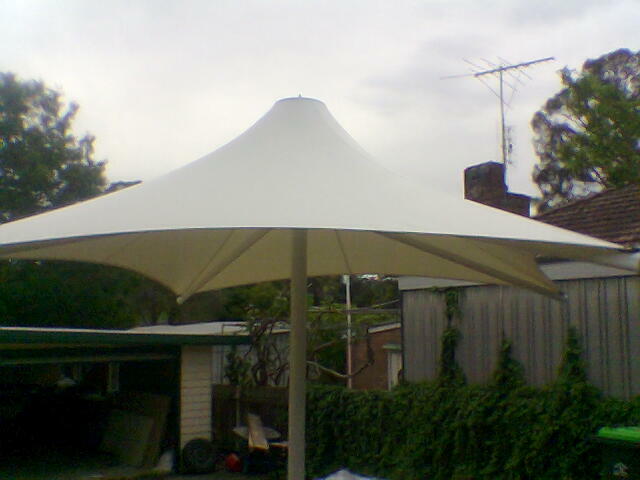 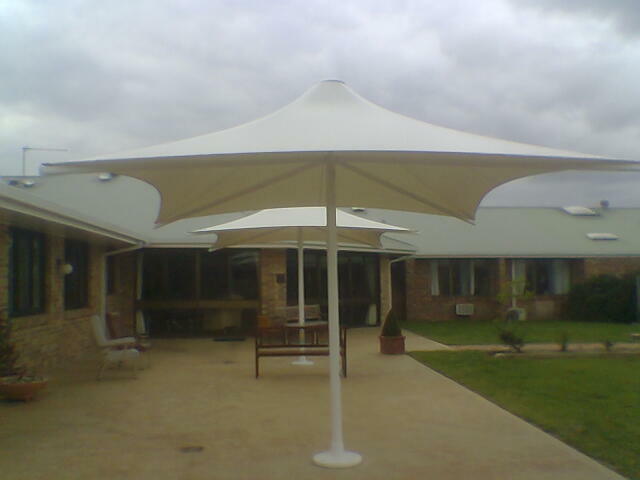 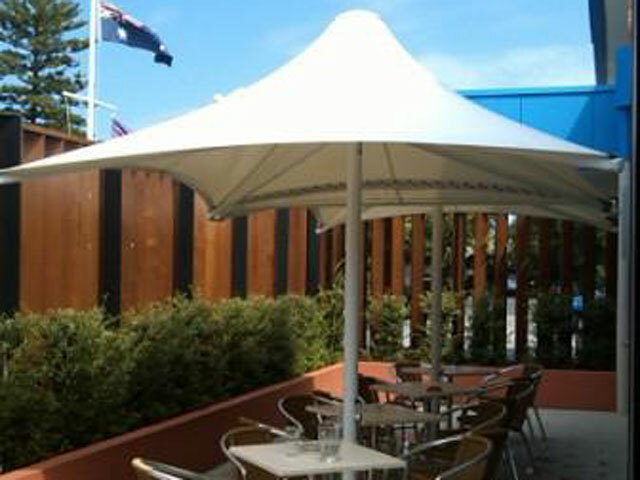 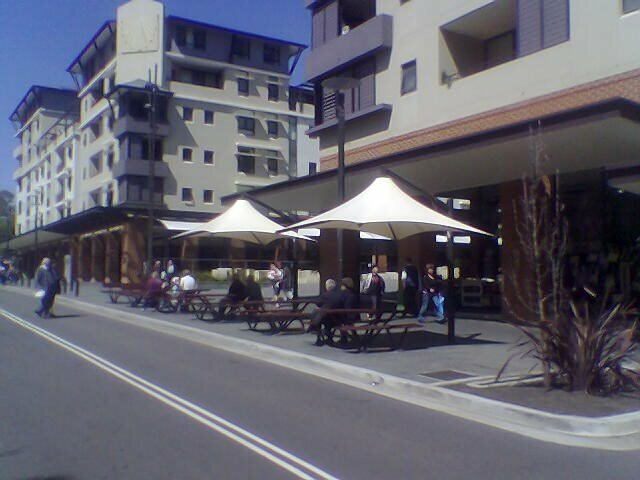 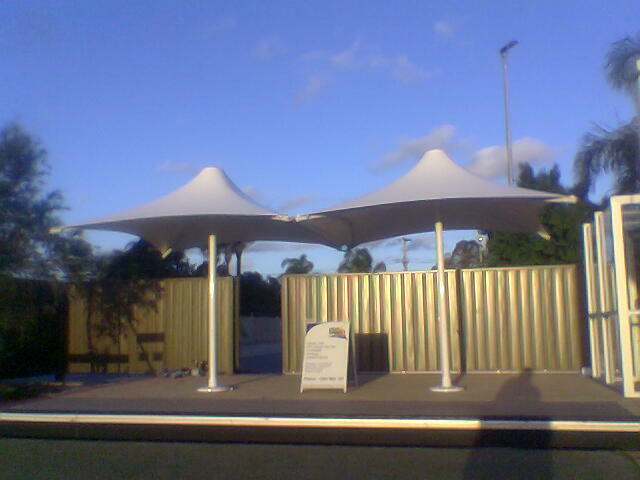 Architectural umbrellas are a stylish way to provide shade for commercial or residential situations. 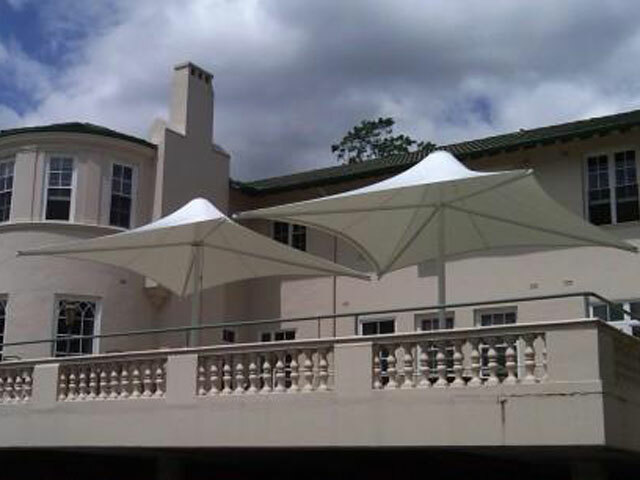 Our umbrellas are manufactured by Skyspan™. 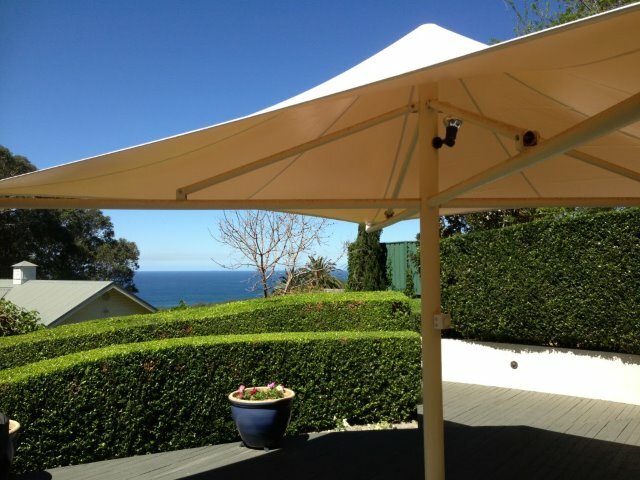 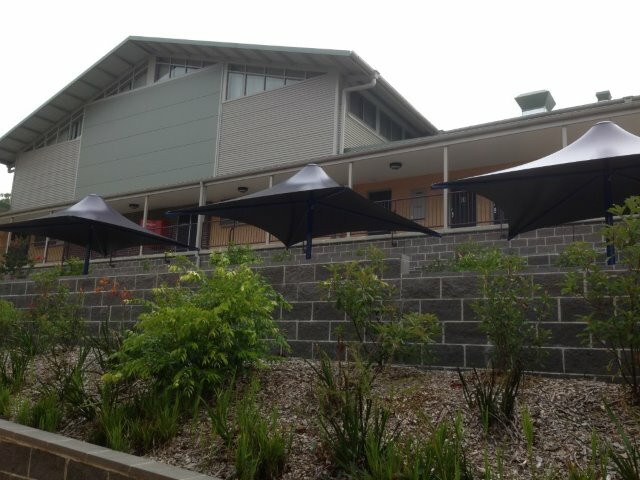 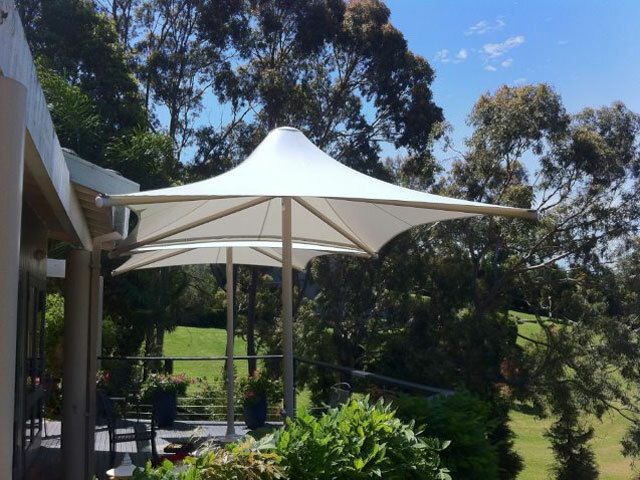 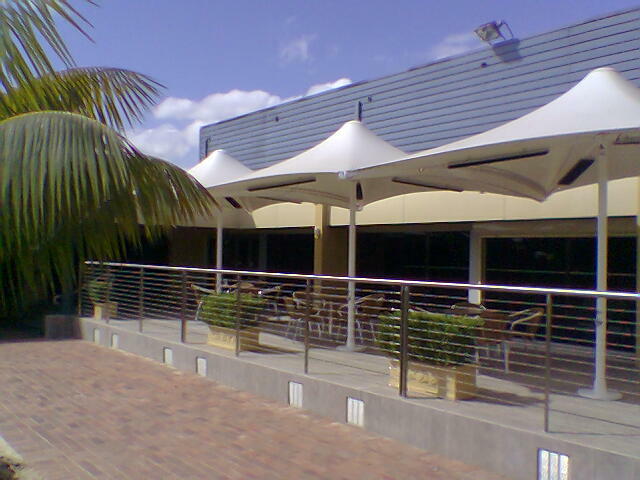 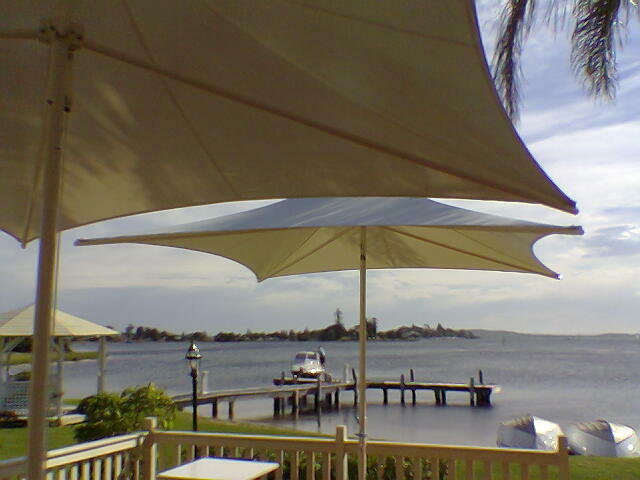 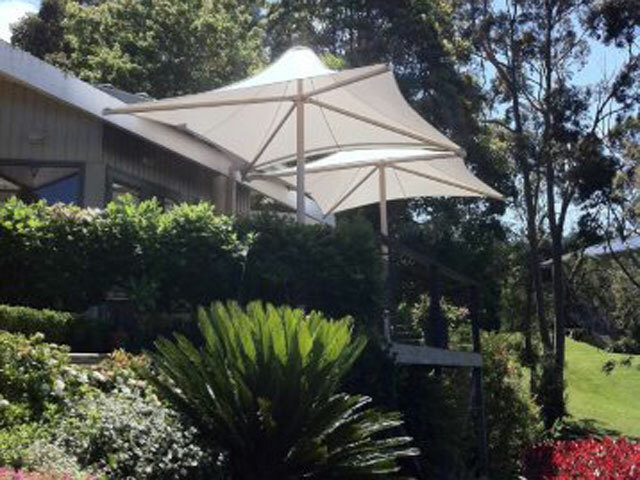 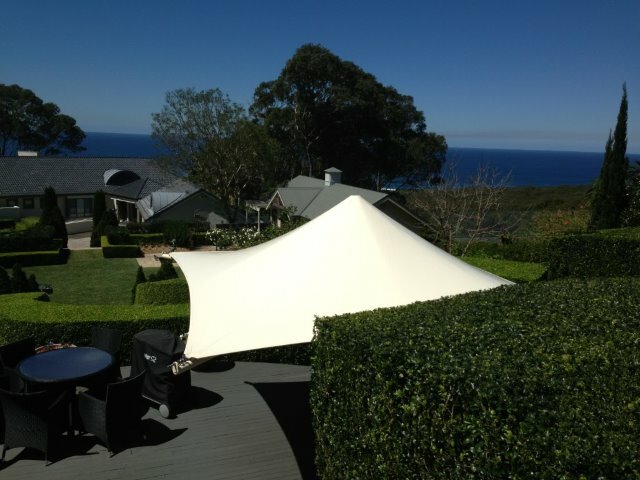 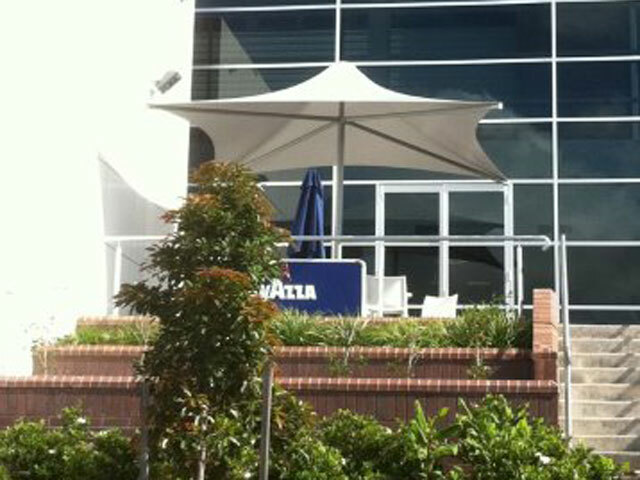 East Coast Shade Design is a distributor of Skyspan™ umbrellas in the Newcastle, Central Coast, Hunter Valley and Nelson Bay region. 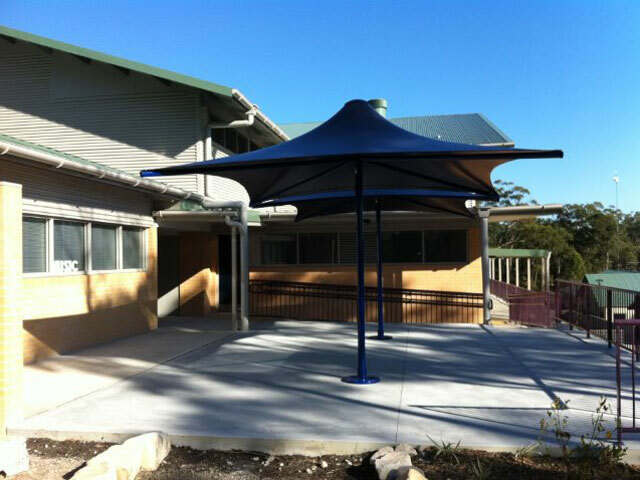 Skyspan™ Retractable Umbrellas offer the perfect combination of aesthetic appeal and structural integrity. 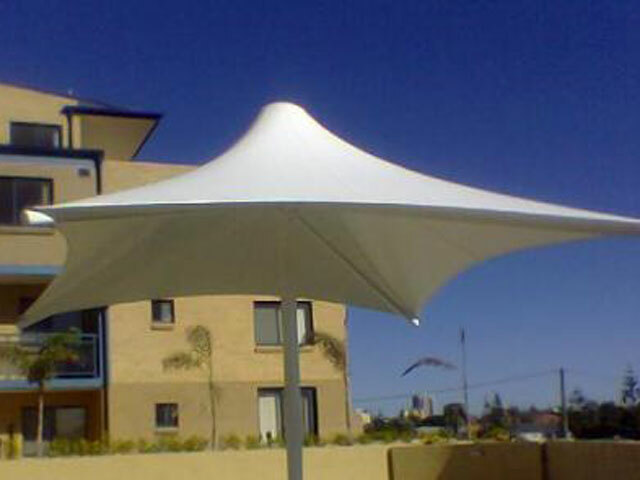 To achieve this, only the highest quality materials are used. 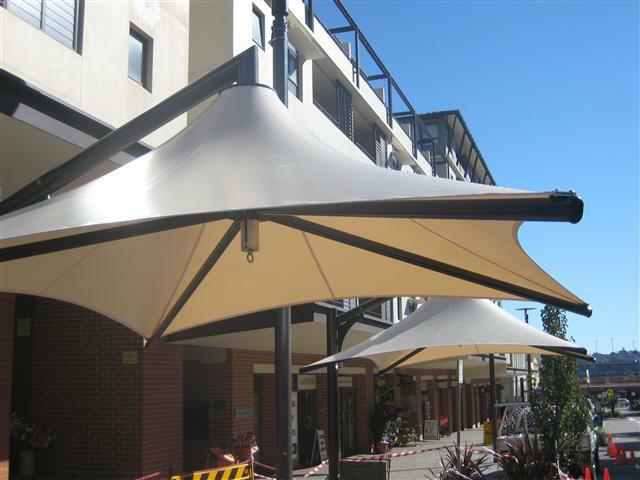 Canopies are constructed of translucent architectural grade PVDF lacquered PVC coated polyester fabric that is waterproof and UV and stain resistant. 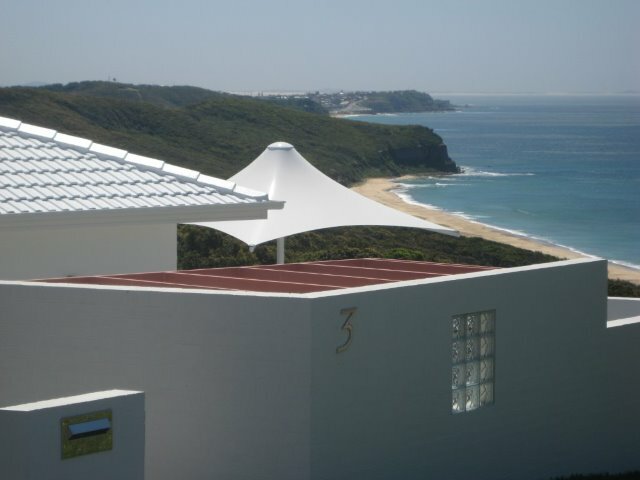 The aluminium framework is constructed from the highest quality structural grade aluminium - perfect for coastal locations. 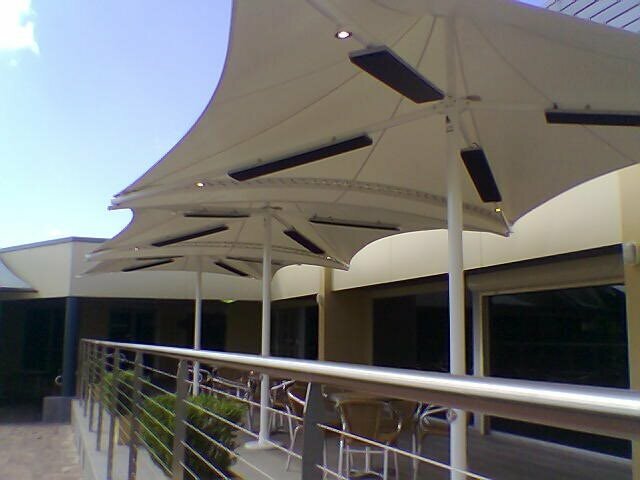 Framework is powder-coated for a clean, polished finish and look. 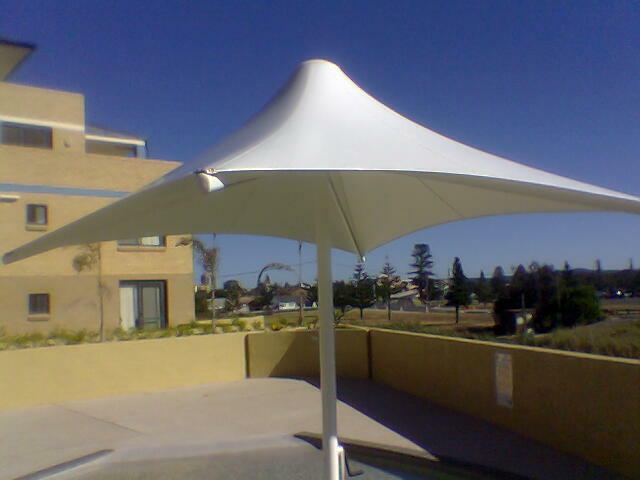 Wind ratings up to 120 km/h are available. 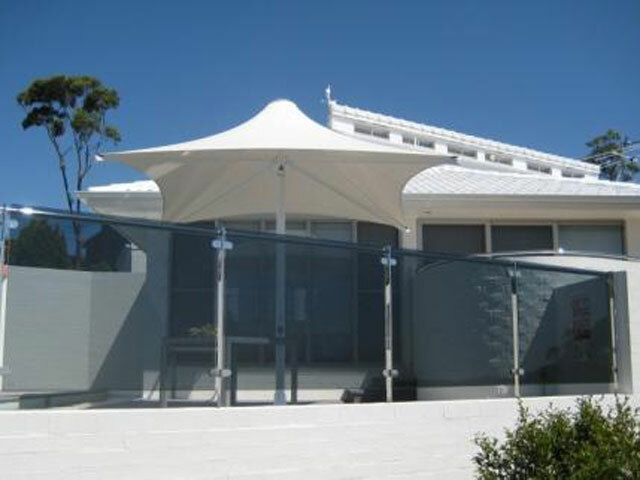 Compatible with clear PVC blinds/ curtain systems, lighting and heating elements. 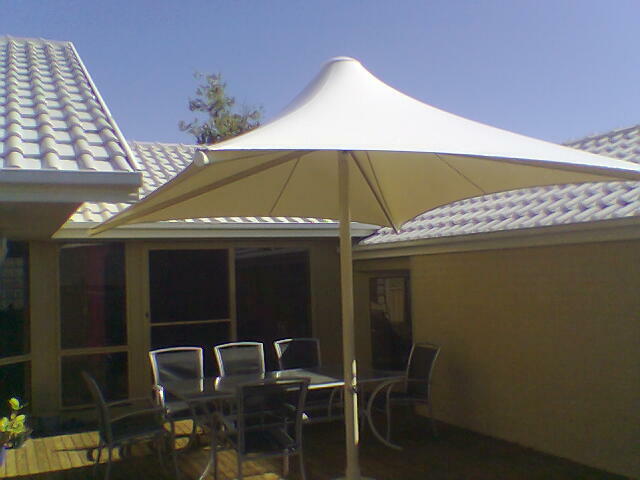 Screen printing is also available. 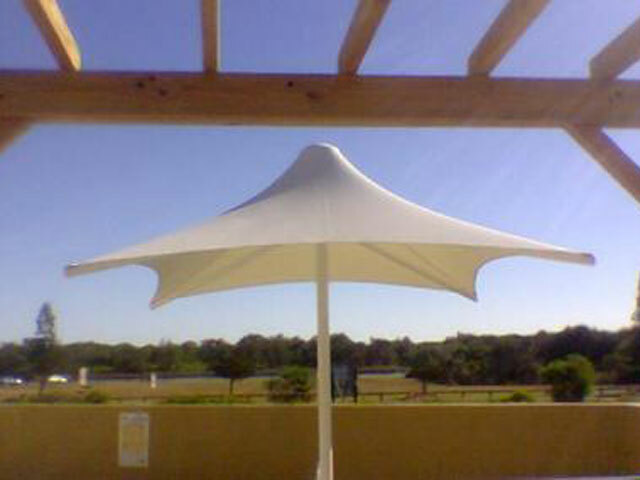 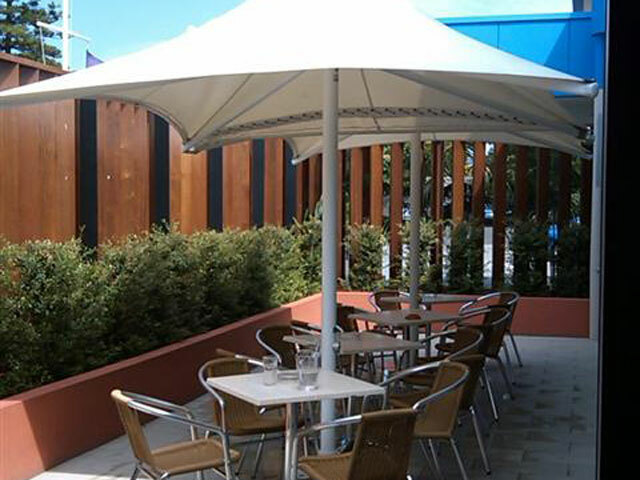 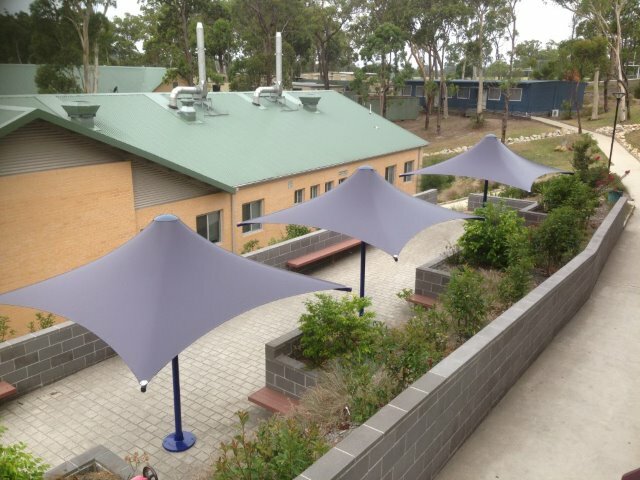 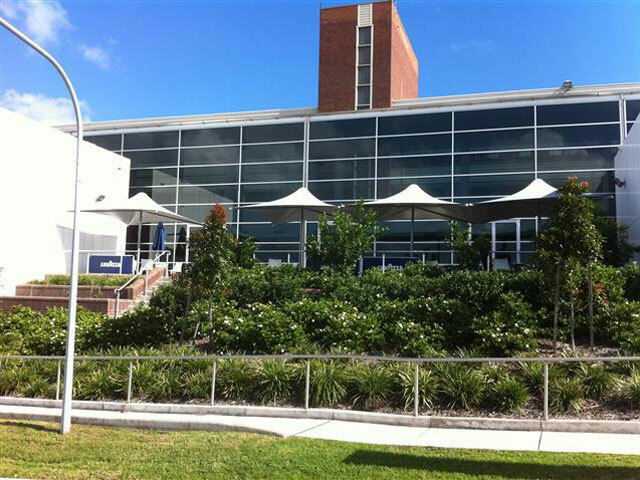 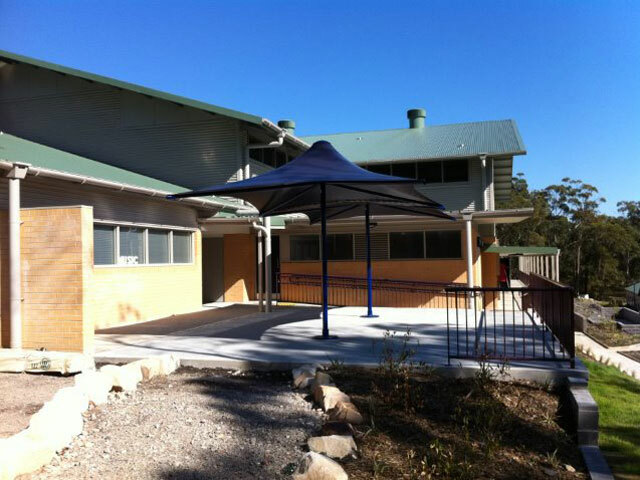 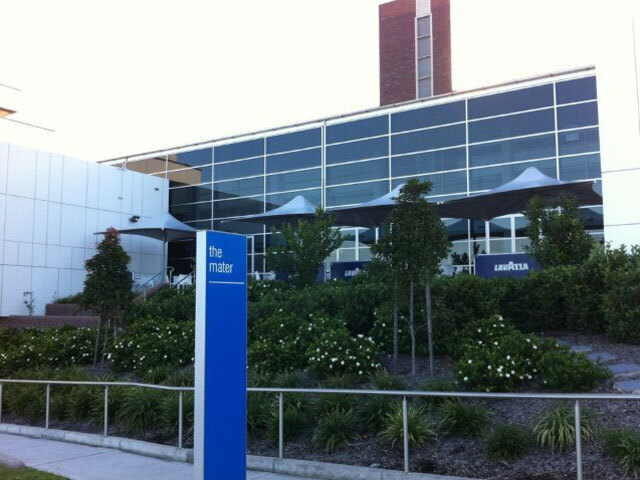 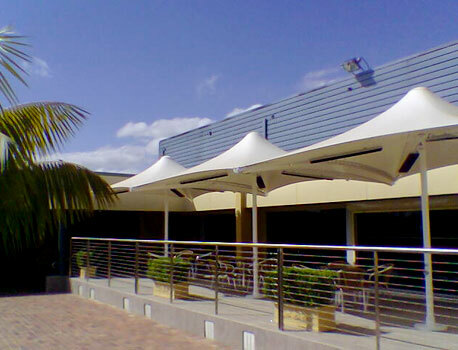 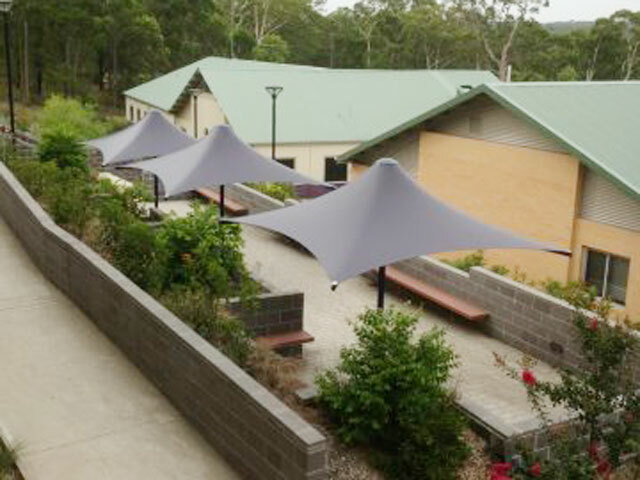 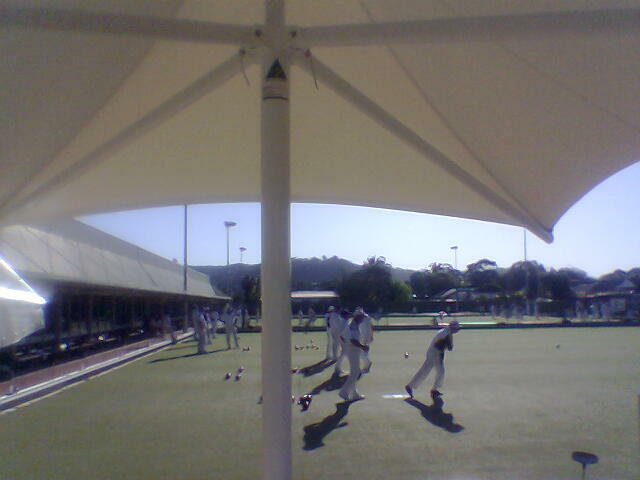 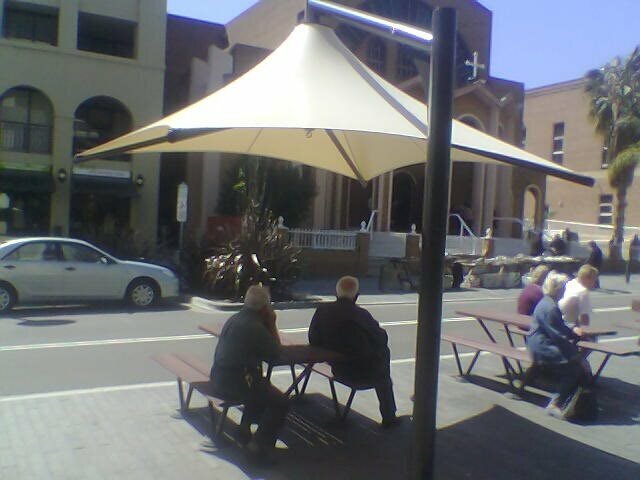 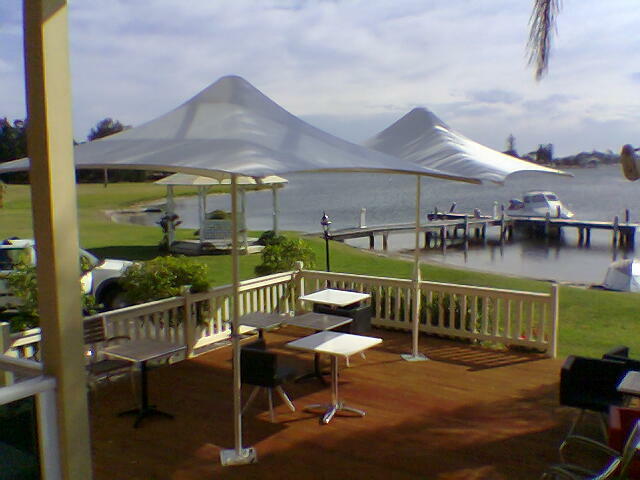 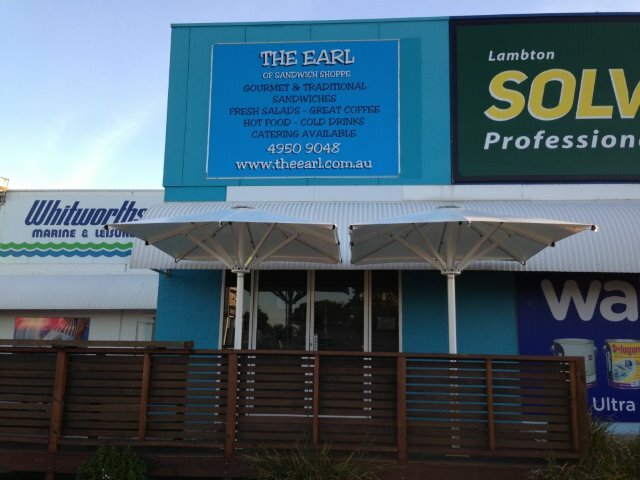 We have installed Skyspan™ Umbrellas in a range of situations including residential, cafes, restaurants, bowling clubs, jockey clubs, resorts, hotels, aged care facilities, hospitals, schools and commercial businesses. 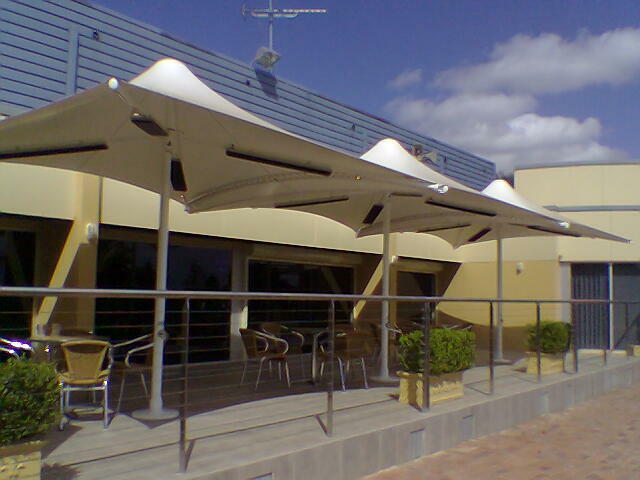 If you would like to find out more about how Skyspan™ Umbrellas would suit your situation, please contact us. 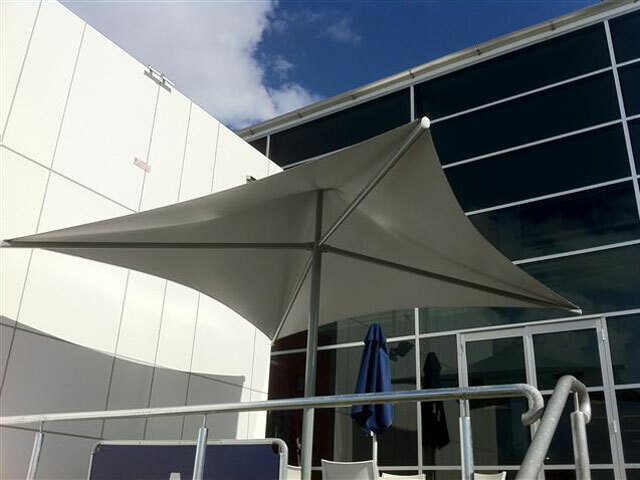 Skyspan™ Architectural Umbrellas come with an Engineering Wind Rating Certification. 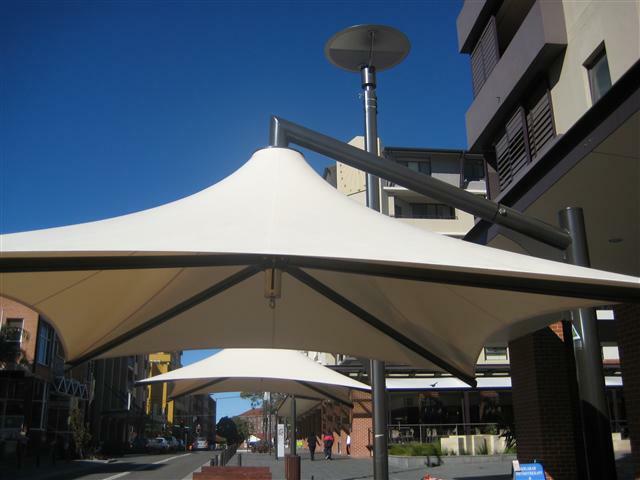 Check out the photos of Skyspan™ Umbrella projects that we have completed in the Sydney, Newcastle, Lake Macquarie and Hunter Valley region.